Thanks to my friend and longtime follower of mine, "The Girl with the Pixar Tattoo" herself, Ashlee G. (who's birthday happens to be today— Happy Birthday! 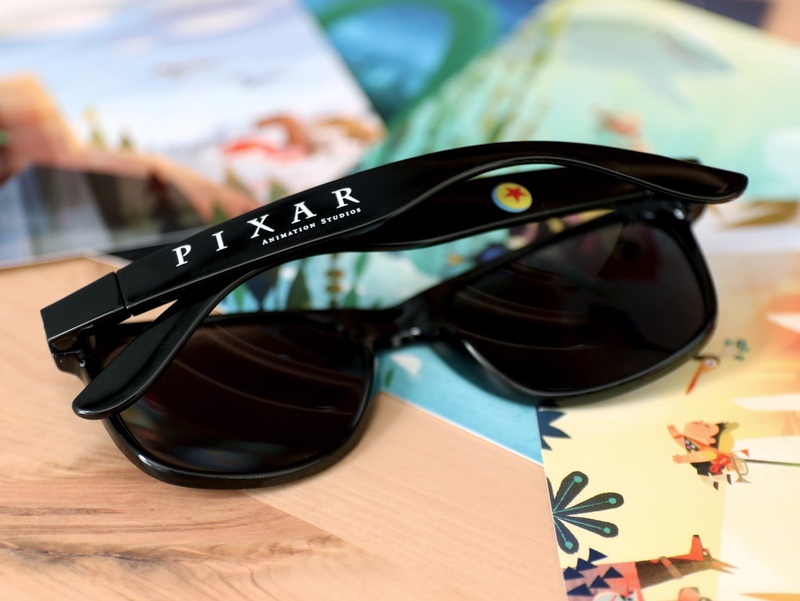 🎉 :), I was sent this awesome pair of Pixar Animation Studios sunglasses straight from the 2017 D23 Expo! 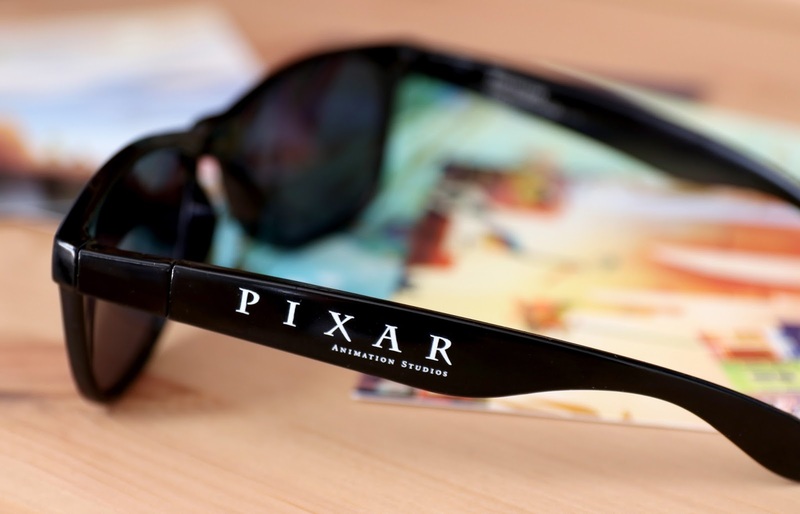 These were handed out for free spontaneously to select guests within the Pixar pavilion on the main show floor. Ashlee was lucky enough to get a couple pairs and was nice enough to think of me! I know how crazy it gets there during that weekend, so this really means a lot. I also wanted to give a huge shout out to Ashlee's art skills. She's really an incredible artist and is well on her way to becoming part of the Pixar team one day. 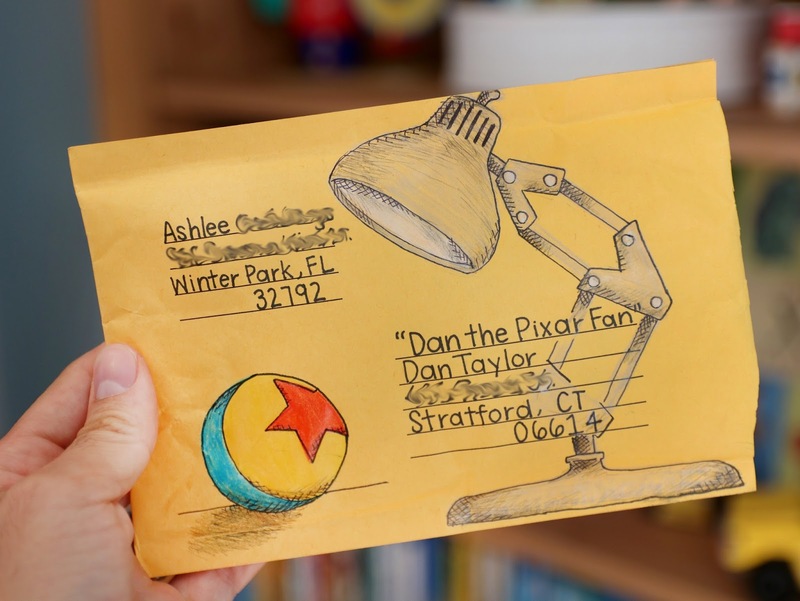 Check it out—she even decorated the envelope she sent with Luxo Jr. and every Pixar fan's favorite ball!! I mean, come on. That's just SO cool. This is an envelope that'll I'll be saving and adding to my Pixar art collection. And she didn't stop there. 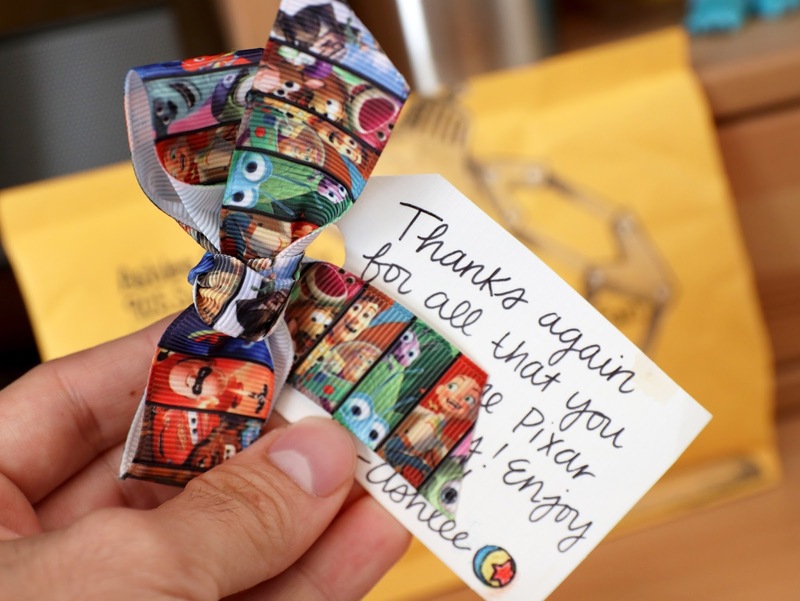 Even her little thoughtful note inside was tied with a fantastic Pixar ribbon. And can I say that's some of the best handwriting I've ever seen? Ashlee has even been featured by Disney Style (from Dapper Day) and Pixar's Instagram (from the D23 Expo) because of her now semi-famous Luxo ball dress. It's been a huge hit and for good reason! Definitely go ahead and give Ashlee a follow on Instagram HERE for more of her Pixar adventures. 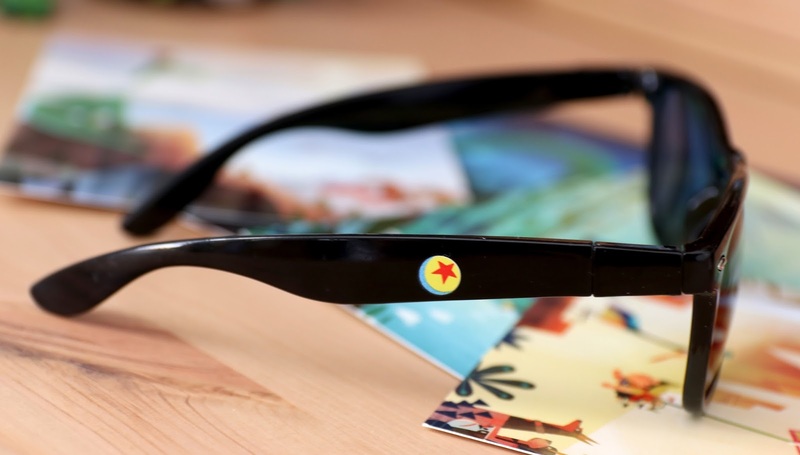 If you're looking to snag a pair of these sunglasses for yourself, check out THIS DIRECT LINK for current eBay listings. Let me know your thoughts in the comments below! How was your D23 Expo experience this year?